Dave is one of our most active instructors. 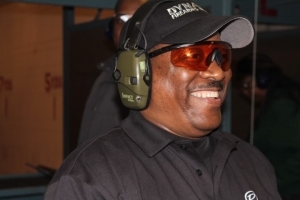 After retiring from the Marine Corps with multiple expert rifle and pistol marksmanship awards, Dave decided to get involved in the shooting sports and became a firearms instructor with DFT. Bringing his expertise and organizational skills with him, Dave was quickly promoted to manager and currently he enjoys teaching students the finer points of rifle and pistol shooting utilizing his current and prior marksmanship experiences.